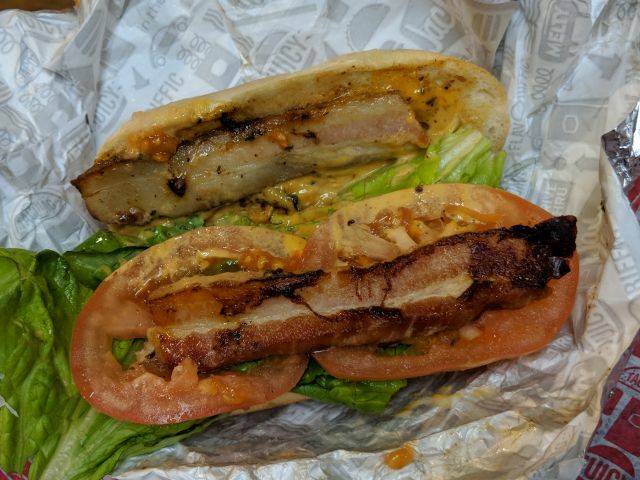 Jack in the Box's Pork Belly BLT features two thick strips of seared pork belly, green leaf lettuce, tomato, and tangy honey aioli on a toasted rice flour baguette. 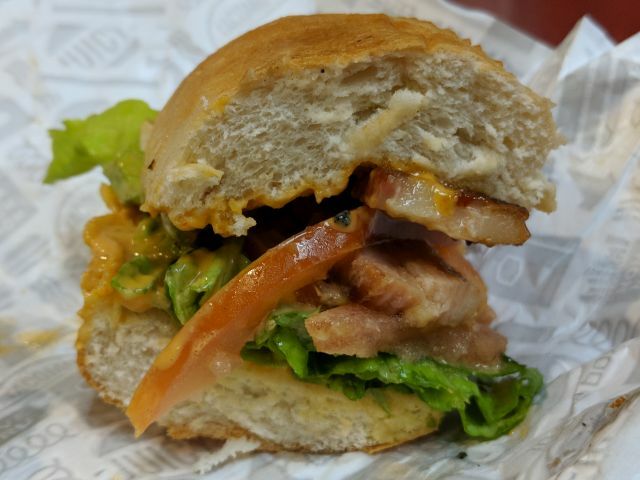 For the most part, Jacks' Pork Belly BLT comes off as a fairly decent BLT. The pork belly (cured and smoked it seems) is basically extra-thick bacon. The thickness made for more meatier but less crispy eating. The searing gave it some nice browning but only the odd crispy edge here and there. There was a nice smokiness but, thankfully, a little less salt than is typical with bacon. The lettuce and tomato were relatively fresh and came in good proportion. The sauce was basically like a creamy honey mustard, which gave a bit of sweetness to the standard mayo of a BLT. Unfortunately, like in the Asian Fried Chicken Sandwich, the bread let the rest of the sandwich down. Where you normally get soft, airy bread or thin crunchy toast, the Pork Belly BLT goes with a dense, heavy roll that muted the flavor of the other ingredients without contributing much to the equation. 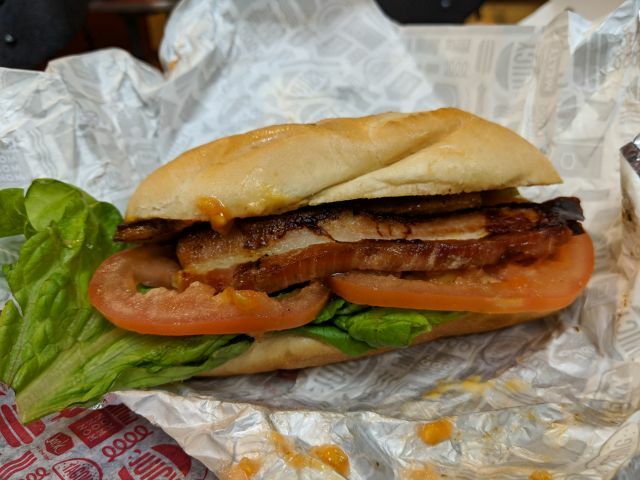 When it comes down to it, Jack in the Box's Pork Belly BLT still made for a nice sandwich but would been a lot better with different bread.